Its Memorial Day weekend, and many of us are off from work and ready to enjoy the pre-kickoff to summer. Some of you may go on vacation, others will celebrate outdoors with family and friends at home, while a few might stay in and catch up on TV. Whatever the festivities that you have planned, Memorial Day is one of the few nationwide opportunities for American citizens to give thanks to the men and women who have served our country. With the three-day weekend in tow, busy families relish the opportunity to spend a little extra time together and potentially visit a new or familiar territory. For those of you in search of a little adventure, but not wanting to spend the extremely high prices for a plane fare, a road trip may be just the thing. Depending on which side of the country you live, one or more of these locations should be easy driving distance for you and your family or friends. Here are the most popular Memorial Day getaways that won’t break the bank. As you might have guessed, Washington D.C. is one of the most obviously patriotic places to celebrate the weekend. With a parade that features plenty of pomp and circumstance taking place during special military ceremonies, D.C. is a perfect destination to celebrate. Arlington National Cemetery hosts a wreath-laying ceremony at 11 a.m. on Memorial Day at the Tomb of the Unknowns accompanied by performances from the U.S. Navy Band. Men and women in uniform also march in the National Memorial Day Parade along the National Mall Monday at 2 p.m. Don’t miss the National Memorial Day Concert Sunday, May 24, on the West Lawn of the U.S. Capitol from 8 p.m. to 9:30 p.m., an event that is free to the public (gates open at 5 p.m.) and televised on PBS each year. 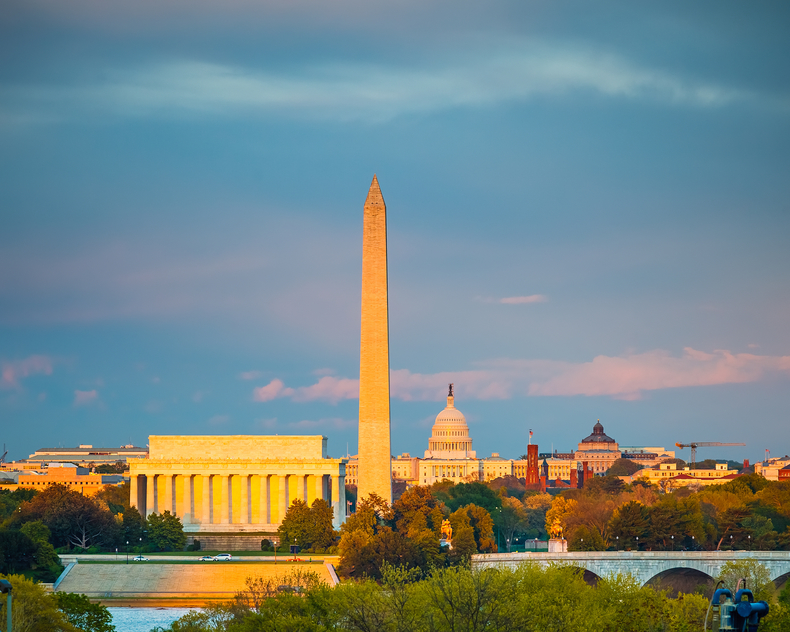 Don’t forget to sight-see the entire D.C. area that is packed with historical and educational activities that families can enjoy. Memorial Day weekend in Las Vegas is surprisingly one of the busiest times of the year, surpassed only by New Year’s Eve. Parties are held around the resorts’ elaborate pools are the big event, and become daylight nightclubs with DJs, drink carts, bottle service, cabanas, and more. But that doesn’t mean that families can’t enjoy all that Vegas has to offer. In fact, Las Vegas has become more of a family fun destination than the city of sin that it once was. Many resorts have daytime activities for children while adults can grab a chaise at the Venus Pool Club at Caesars Palace or stop by the swanky new pool at the Tropicana. For the family thrill-seekers among us, take a spin on The High Roller at Caesars Palace- a giant Ferris wheel similar to The London Eye that is sure to give you the best views in Vegas, or ride the Big Apple Coaster at New York, New York resort. 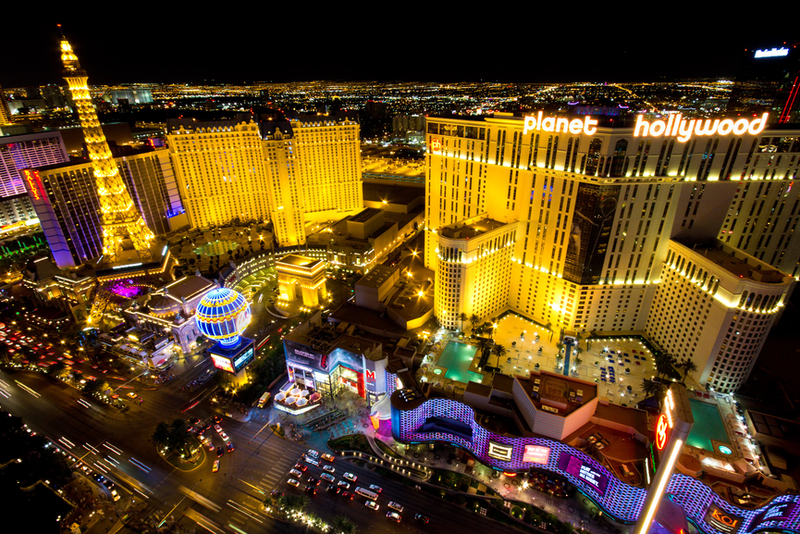 With plenty of award-winning shows, incredible nightlife, shopping, gaming, and more, it’s easy to see why Las Vegas is such a popular Memorial Day getaway. Memorial Day weekend marks the unofficial start of summer in Chicago, and the Windy City is a great place to spend the weekend. Chicago offers up many family-friendly activities to fill the three-day weekend and start their summer off right. There’s annual Chicago Memorial Day Parade, which is one of the largest Memorial Day parades in the country, second only to D.C.’s extravaganza. 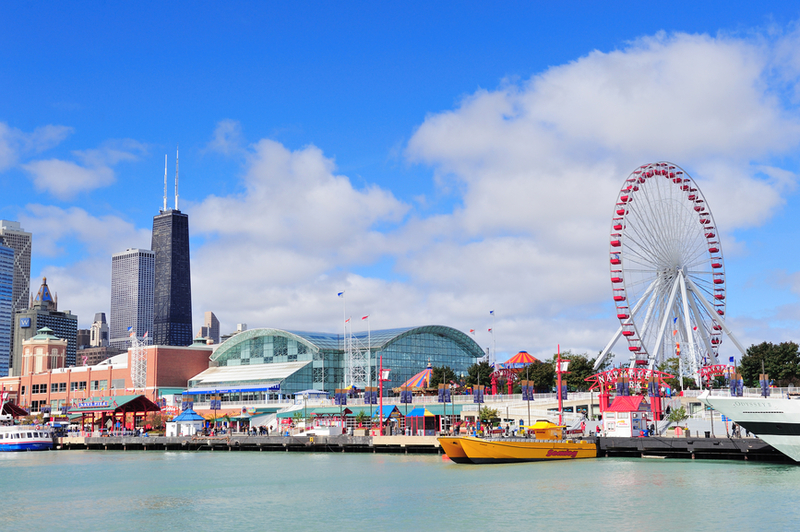 After the parade, head to Navy Pier for an hour-long Memorial Day firework extravaganza that is sure to delight the entire family. Being one of the most diverse cities in America, Chicago is home to a wide range of ethnic cuisine and city favorites. From Chicago-style hot dogs at Superdawg to cheese-packed deep dish pizza at Lou Malnati’s, vacationers that visit the Second City will have their fill of food choices. With the Field Museum, Museum of Science and Industry, Shedd Aquarium, and more all being centrally located downtown, Chicago is a great way to get a little extra education (and fun) in before the kids leave school for summer break! 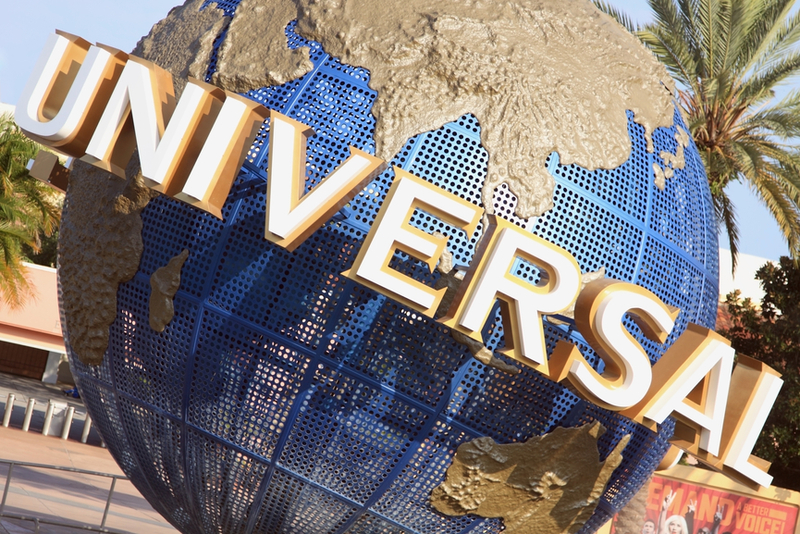 As Walt Disney dubbed his infamous theme park “The Happiest Place on Earth”, many consider Orlando, Florida as the most family-friendly place in the United States. Countless families take advantage of the extra day off from work and flood Orlando on Memorial Day weekend. For the Memorial Day weekend, Orlando holds a giant Carnival-themed festivity, which features delights for adults and kids. With three days off to play people from all over the country flock to Walt Disney World, but those who wish to avoid crowds might want to visit some of the lesser-visited (and less expensive) theme parks such as Universal Studios Orlando, which has rapidly become the destination for thrill seekers and families alike. 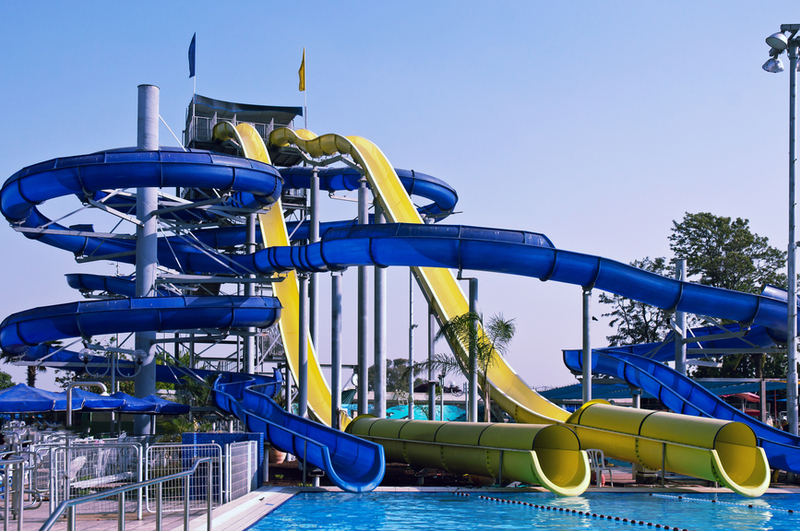 Or skip the long lines and high prices while you escape the heat at Wet N’ Wild water park featuring a large variety of lazy rivers, wave pools, and extreme slides. Speaking of water parks… this list wouldn’t be complete without including the infamous “Water Park Capital of the World.” Whether you are looking for an action-packed summer vacation or time for relaxation, the Wisconsin Dells, has it all. Perfect for couples and families alike, the Wisconsin Dells offers unique tourist attractions, many of which highlight the beautiful nature of the area. If touring is not your preferred vacation activity, don’t despair — you might want to try the waterparks. Noah’s Ark, “America’s Largest Waterpark,” includes over 80 exciting attractions for great family fun. This location boasts the most water slides in the Wisconsin Dells, as well as two wave pools, multiple lazy rivers, and even a 4D Dive-in theater, and there is even more to explore. Whether you choose to take a swim or have fun in the sun, this Midwest gem is a great place to spend your Memorial Day weekend! The most popular Memorial Day vacation spots might not be everyone’s cup of tea. For those of you who wish to spend your Memorial Day getaway with a great deal fewer people around, check out some of these popular destinations below that are less visited this time of year. Chocolate, Chocolate, Chocolate, ACK!!! Do you like candy and roller coasters, who doesn’t? Well, American chocolate giant Hershey has the ultimate utopia celebrating their confections while offering some of the world’s fastest rides, tallest roller coasters, and other countless thrilling attractions. While the kids will no doubt soak up this sugar-fueled trip, there are a surprising amount of activities for adults as well. This is an essential pilgrimage for candy fiends and adrenaline junkies alike. Sweetwater is home to some of America’s most beautiful natural landmarks. Families will delight in the walking tour that takes you through some pretty spectacular underground mountains. But just before you begin to realize how tired you are from all that walking, hop on the boat at the Lost Sea Adventure which features a glass bottom so riders can glimpse at the underwater caverns below and the creatures they are home to. Walking in and seeing an underground lake and hearing stories of shelter and commerce that was once here is a great family activity. South by Southwest may be over, but there’s still plenty to do this weekend in Austin. The eclectic residents of Austin bring tourists a wide array of activities from one-of-a-kind shops to the world-famous Alamo Drafthouse, there is something that adults and children alike can enjoy. Memorial Day kicks off boating season in Austin, so the place to be is the lake. We suggest heading to Lake Travis to soak up some of Austin’s best weather of the year. If you’d rather stay on land, you can actively spectate the Capital of Texas Triathalon on Memorial Day. It may just be a three-day weekend but there are plenty of places to go and things to do with your time if cabin fever isn’t your thing. 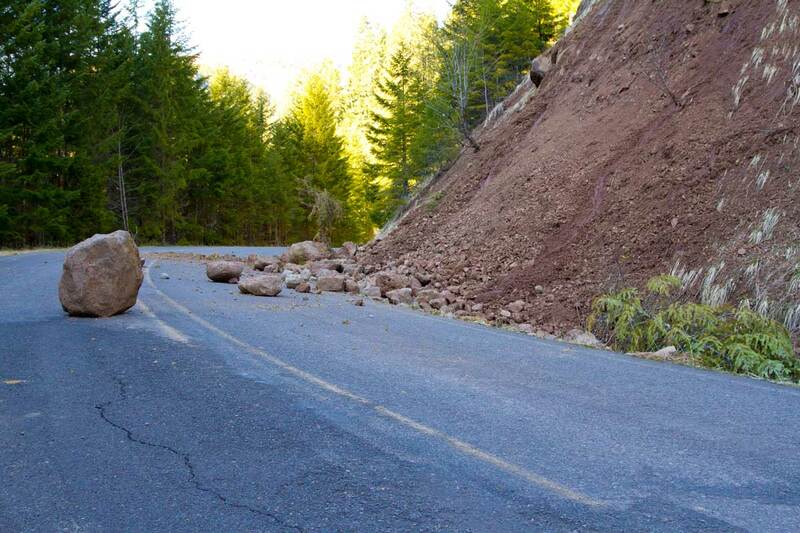 So pack your bags, turn on your GPS, make sure your car is fit for the long trip ahead. And remember: it’s not always the destination, but rather the journey instead.